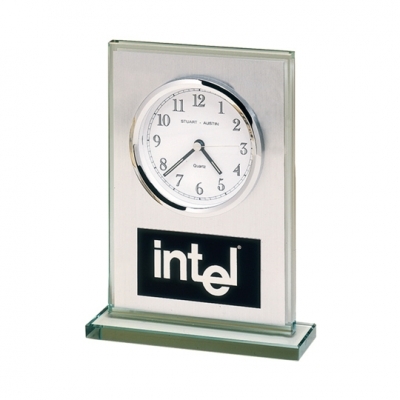 This modern glass clock features a brushed aluminum panel and a white dial. Your custom text and/or logo will engrave silver on the black plate below the clock face. Batteries and gift box are included.